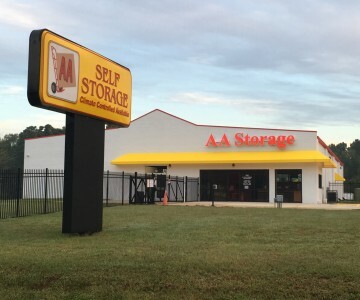 If you’re looking for storage units in the Henderson, NC area, there couldn’t be a location more convenient than the AA Kerr Lake storage facility. Minutes to Kerr Lake camping areas and the lake, our AA Kerr Lake storage facility is the perfect choice for boat and RV storage. With a variety of standard and climate-controlled storage unit sizes, AA Kerr Lake on Wortham Court in Henderson is ready to fulfill your every storage need. Visit us today to see why we’re Henderson’s climate control specialists! Click here for directions to our Henderson location.